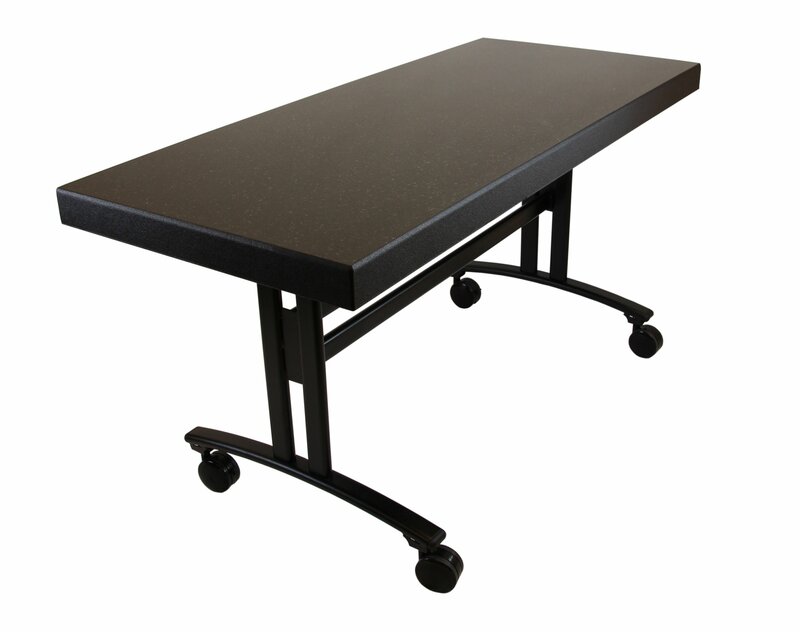 The SICO® Sophisticate catering table is a beautiful combination of style, mobility and rugged durability in one table that's perfect for any upscale event. 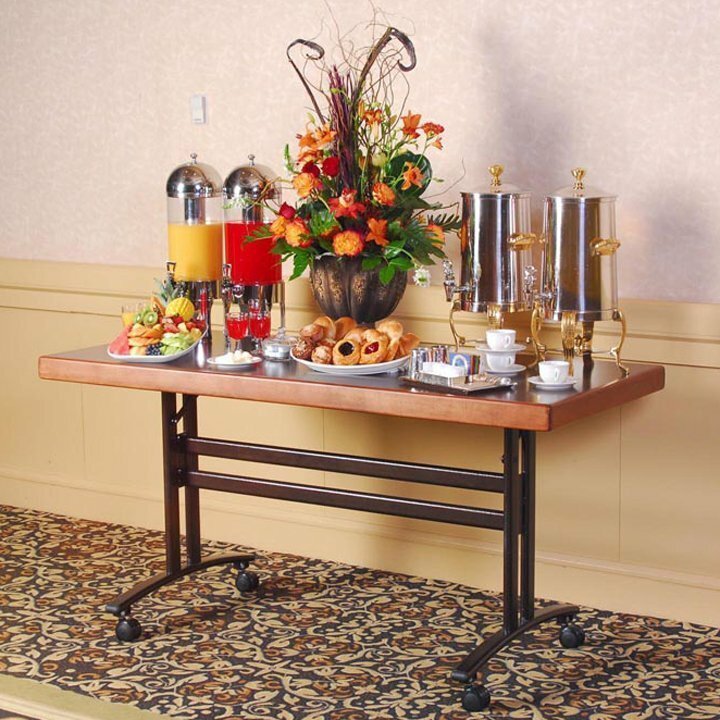 Mobile and multi-purpose, it can be used throughout your facility yet is so inherently elegant that it doesn't require linens or skirting. Whether for front of house applications, catering functions or chef demonstrations, the Sophisticate is the epitome of culinary class, taste and performance. 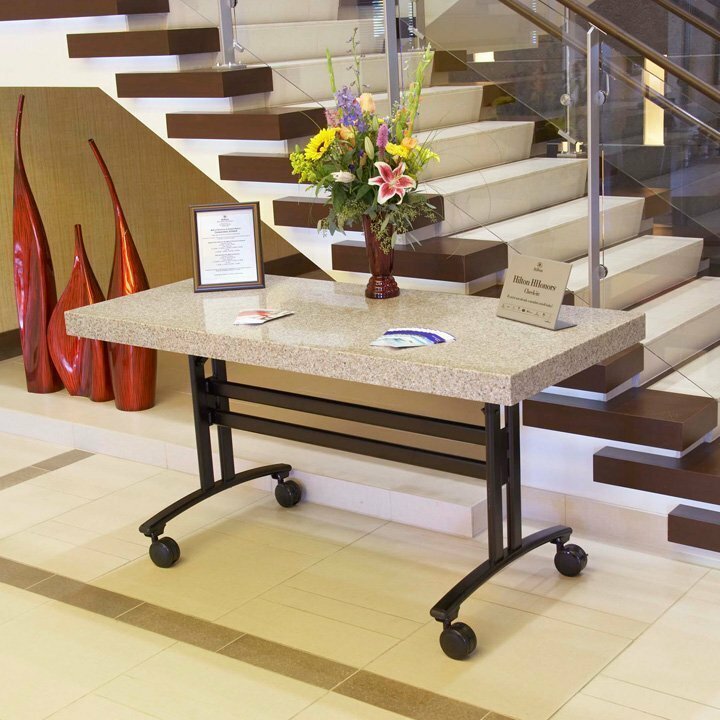 Pick the sizes and styles that fit the needs of your facility. 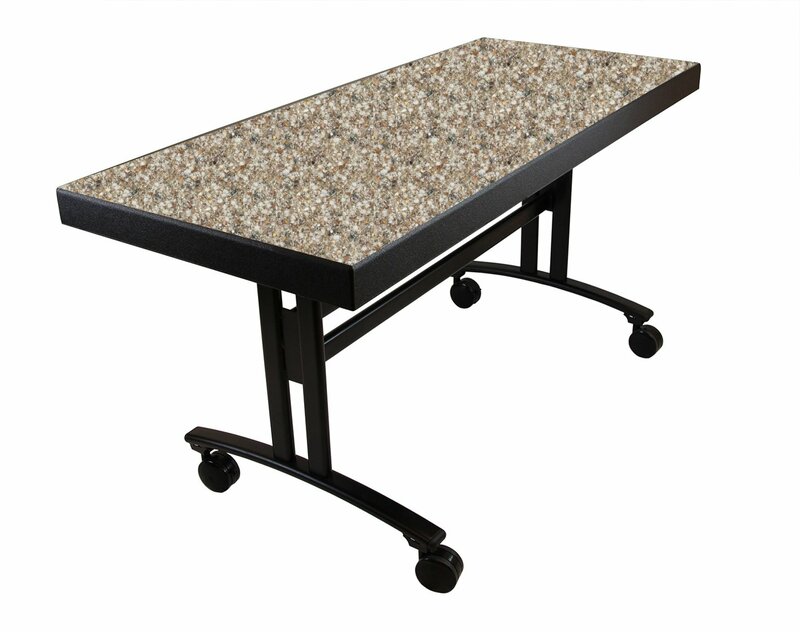 The Sophisticate with natural stone composite top is an elegant, refined high-end table. The Sophisticate with laminate and wood trim offers the same upscale look with the beauty of wood trim. And our all-laminate top selection features a premier design without the price of natural stone composite. The SICO® Sophisticate allows an artfully presented service to be completely set up in the kitchen, then rolled into use by just one person. 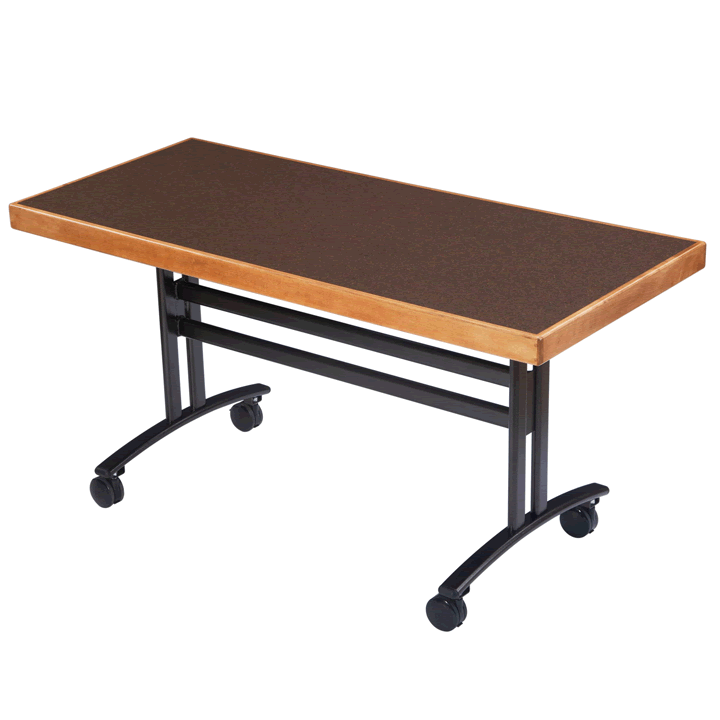 Each table moves smoothly and quietly over thresholds and down carpeted hallways on 4" (10.2cm) easy-rolling casters. By eliminating the need for two setup workers to handle and present the food, your labor costs and set-up times can be significantly reduced. Hydraulic dampers make folding and unfolding the Sophisticate quick and easy. 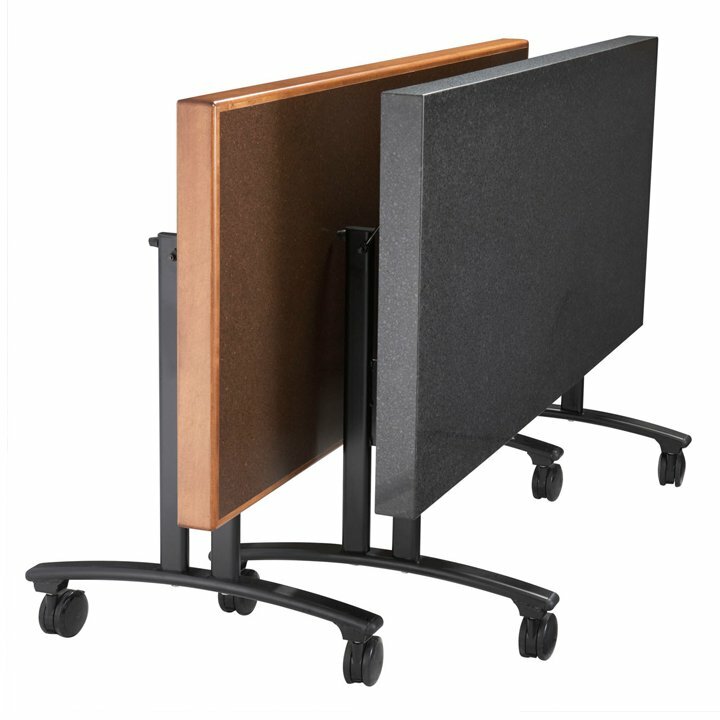 And a proven, practical design allows the tables to fold compactly and nest for efficient storage within a minimal space.